As a 5th generation family farm in Clarkson, KY, we provide quality home-grown produce. We start our produce season with strawberries and finish up with pumpkins in the fall. 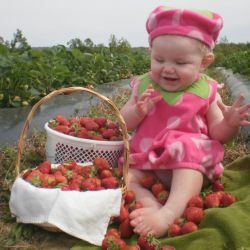 We offer both PYO (pick your own) and pre-picked strawberries with the season beginning as early as the last week in April.